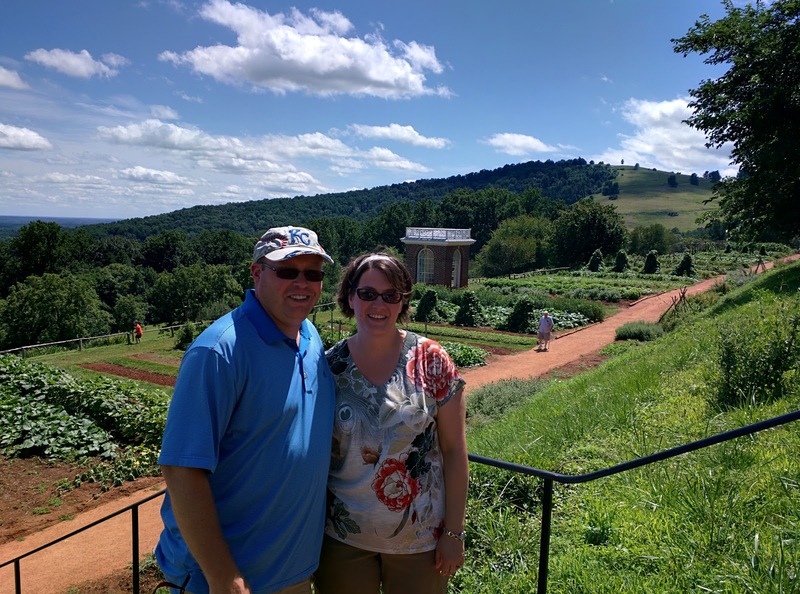 Today Jayme and I returned to Monticello to both see some friends and soak in Jefferson's garden. I had visited Monticello in the summer of 2012 as a participant in the Liberty Today workshop for teachers. We participated in lectures and worked on educational content for the Monticello website. Today was a chance to reconnect with some of the great Monticello educational staff I met back in 2012 and have kept in contact with over the years - Jacqueline Langholtz, Gary Sandling, Melanie Bowyer and Linnea Grim. They have even participated in a Google Hangout with my students in Liberty and had a curator answer questions. This week Monticello is hosting a group of teachers from around the country at the Monticello Teachers Institute. They are having their meetings and presentations in the same location we did back in 2012, a beautiful mountain top named Montalto. Monticello means "little mountain" and when you are at Monticello if you look up you will see the top of Montalto, meaning "big mountain". It is also sometimes referred to as Browns Mountain. Jefferson owned this piece of real estate when he was alive but never built anything there. Montalto became private land when sold after Jefferson's death and a beautiful home was built on top of the mountain in the early 1900's. The Thomas Jefferson Foundation once again owns the property. It is truly one of the most beautiful places I have ever stood and looked out on the horizon. I have included pictures below but they don't truly do justice to the view. 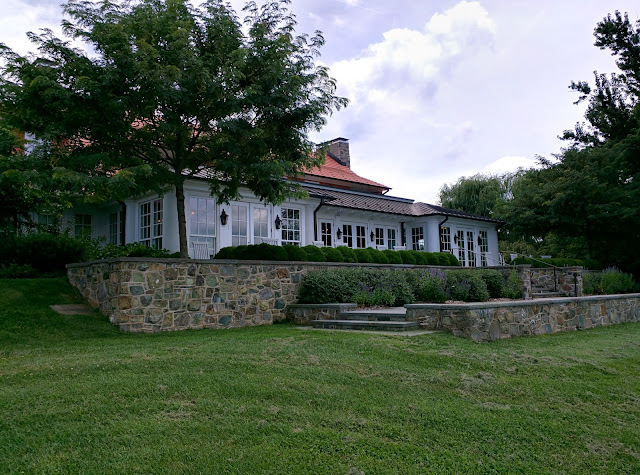 We went up to Montalto to join the teacher institute for a discussion with Peter Onuf, a renown Jefferson scholar and creator of an online MOOC course the University of Virginia hosts on Thomas Jefferson. The discussion was lively and at one point the differences in public perception of Jefferson vs Washington was entertained. 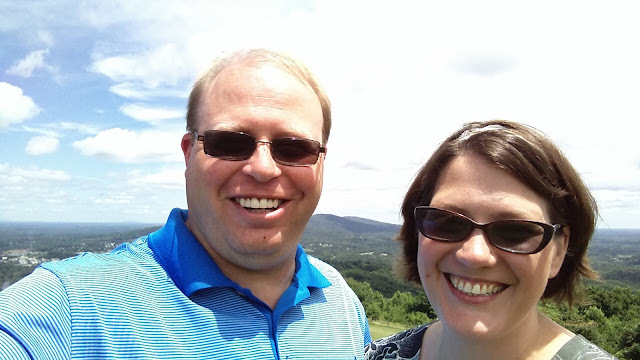 Next we had lunch on the patio overlooking the valley below and then took some pictures from Montalto looking down on Monticello below. I enjoyed not only the incredible view but also seeing the education staff from Monticello again. 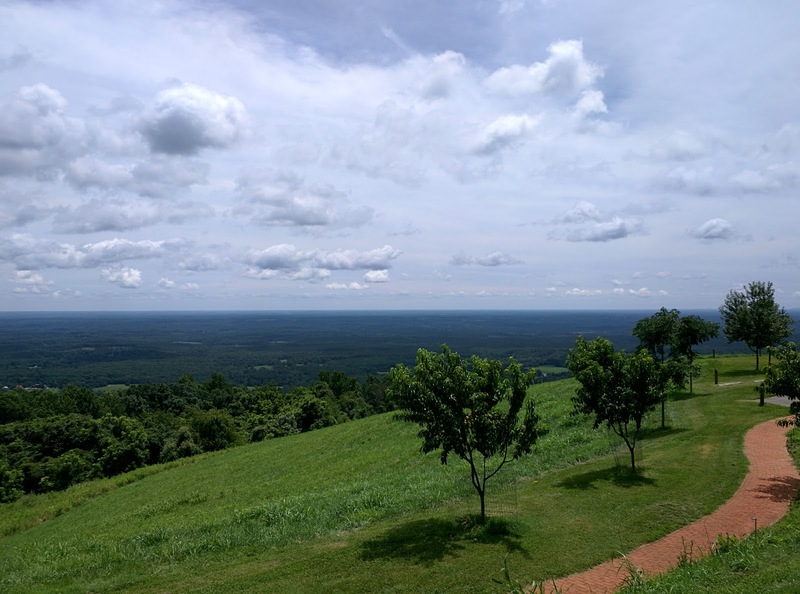 After taking what seemed liked a ton of pictures from Montalto, we headed down the mountain. Jayme and I participated in the garden tour, which took roughly an hour and discussed Jefferson's flower gardens, his orchards and the 1,000 foot long vegetable garden with over 250 varieties of over 70 species. The weather cooperated and although it was hot there was also a slight breeze. 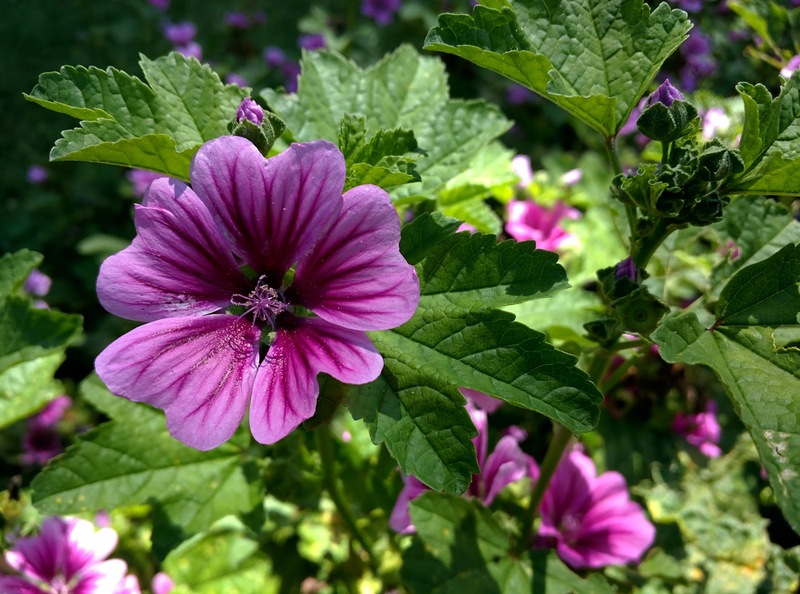 Jayme and I enjoy having a garden in our backyard and although it is not large, we do enjoy the collection of vegetables and herbs that we grow. 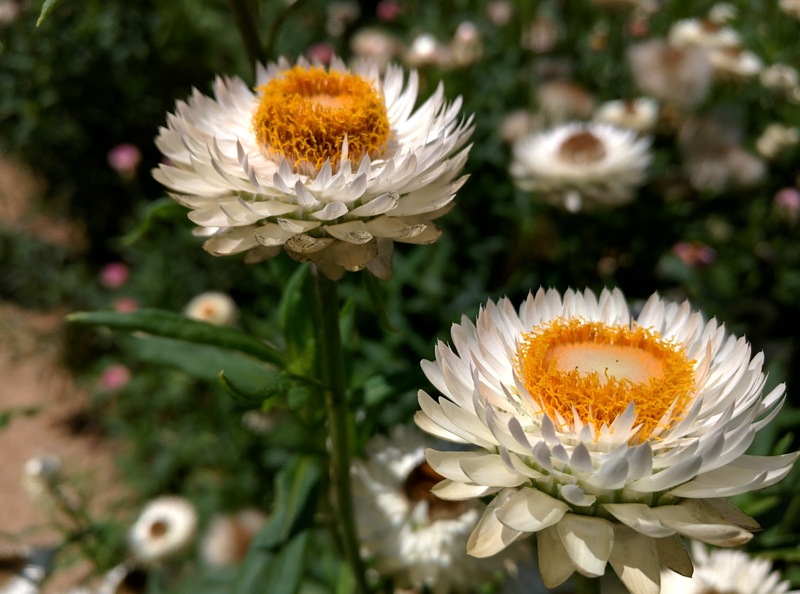 It was a lot of fun to walk through his garden, see the vegetables up close that we have read about in books and see the way in which some of the plants were grown in certain arrangements. 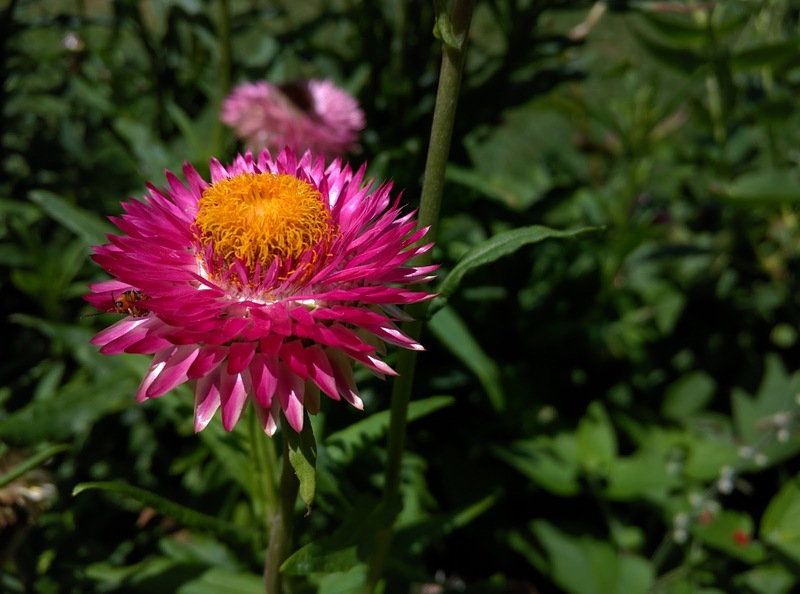 We have a lot of ideas to incorporate in our garden design for next year and we'll be making garden stakes to identify the plants in our garden just like Jefferson did at Monticello. We also bought several different types of seeds at the gift shop harvested from plants there at Monticello. Before leaving we toured the exhibits in museum. 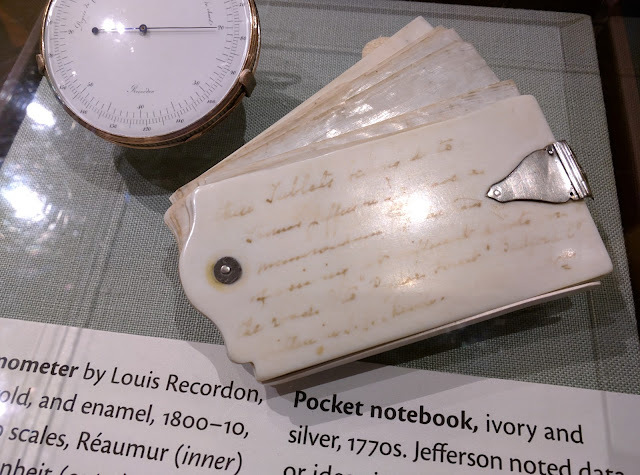 My favorite Jefferson item has always been the portable ivory notebooks that he would use to write done observations throughout the day using pencil. When he returned home he would then write the observations in his books and wipe the pencil markings off the ivory so he could use them again the next day. 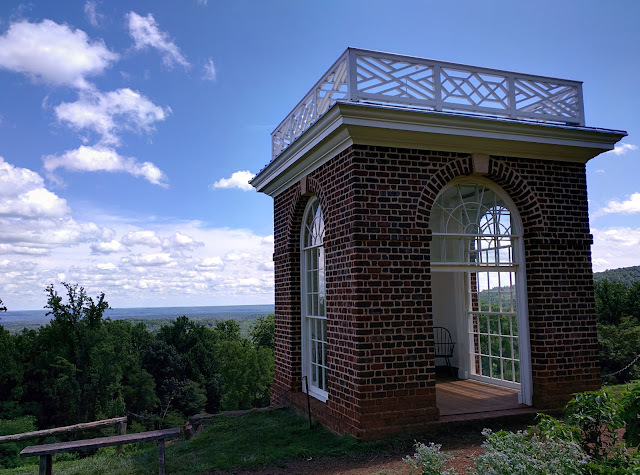 While we were at Monticello the archaeologists were not actively working on the site near Mulberry Row but I did learn that at Monticello they are not certain where the slave cemetery is located. This is an interesting comparison with the work currently being done at Mount Vernon on the slave cemetery survey which is included in the lesson plan I am developing as part of my fellowship. I wanted to share the gardens at Monticello with Jayme ever since the first saw them in 2012 and I felt so fortunate that we could now walk through the gardens together. It was a great day and we enjoyed taking the long way back on our drive home to Mount Vernon. We got home in time to watch the major league baseball All-Star Game and all of our Kansas City Royals taking part in the action. Tomorrow Jayme will return home to Liberty while I stay to finish my work as a fellow but I am so happy that were able to see and do so many memorable things in the past several days at Mount Vernon and Monticello.